For the fourth year, San Diego's largest music, comedy, food, art & cultural festival returns to Del Mar Racetrack and Fairgrounds to close out the summer! 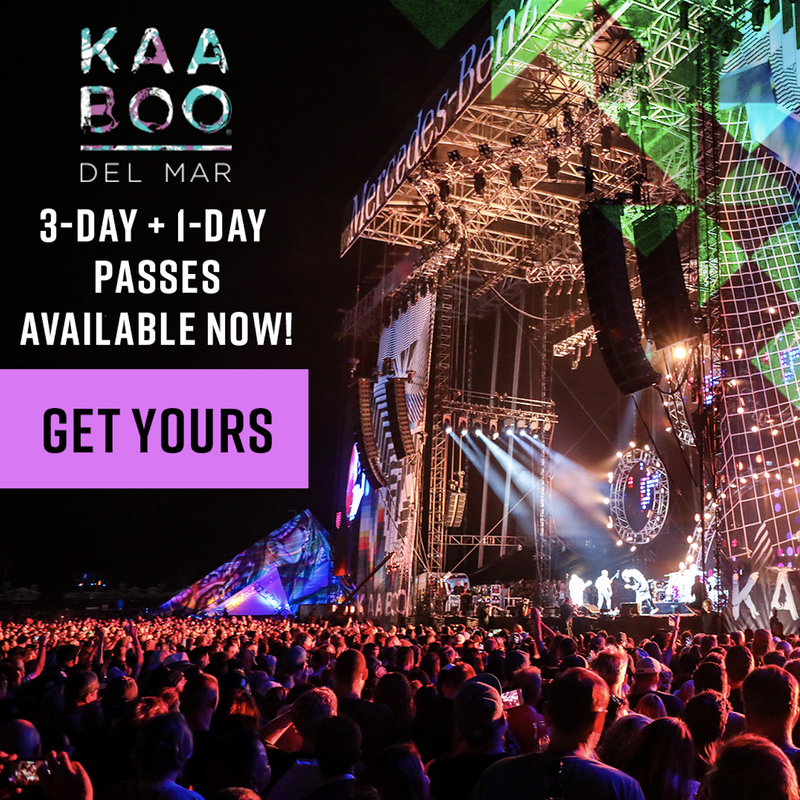 KAABOO Del Mar takes place this September 14-16, featuring live appearances from Foo Fighters, Imagine Dragons, Katy Perry, Led Zeppelin front man Robert Plant, Post Malone, Alice In Chains, Billy Idol, Jewel, Wiz Khalifa, plus comedians Craig Ferguson, Iliza Shlesinger, Nick Offerman, Craig Robinson, and so many more. Enter our giveaway for a chance to win a pair of single day HANG LOOSE passes! The daily lineups are out, and single-day, 2-day and weekend passes are moving quickly! Download the app and start planning your schedule. We have attended KAABOO Del Mar each of the past three years and have certainly come to look forward to the annual event, as it offers so much more than your typical music festival. Around every corner there is something intriguing to see, hear, taste and explore. In addition to a top-tier lineup of musical, comedic, and culinary performances, there are tons of local vendors, including restaurants, breweries, wineries and distilleries. Art everywhere tantalizes the eyes with live exhibits, interactive experiences and even a contemporary art fair. An onsite pool party is there to cool you off and a spa treatment area is ready to calm you down. Attendees can be pampered with a massage, a blow-out, a makeover, or even a gentlemen’s hot shave. After the last headliners leave the stage, an onsite night club comes to life. And, unlike other festivals, upscale restrooms - not a port-a-potty in sight - are plentiful and clean. We have never even had to wait in line! Tickets to KAABOO Del Mar are available online and moving fast, so get yours today!